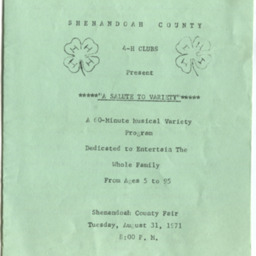 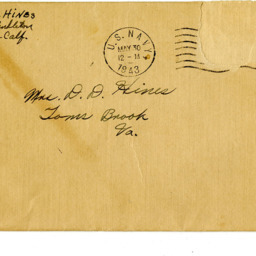 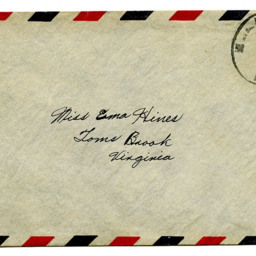 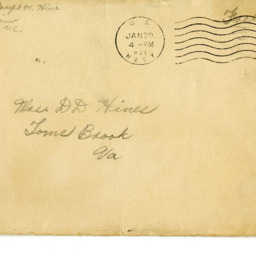 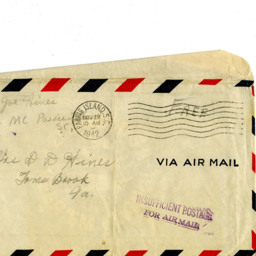 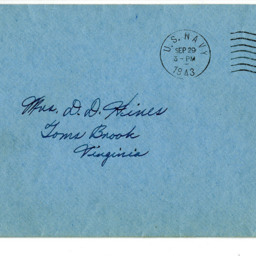 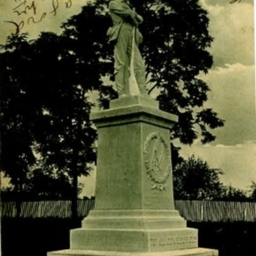 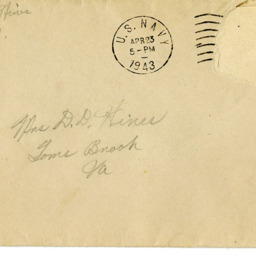 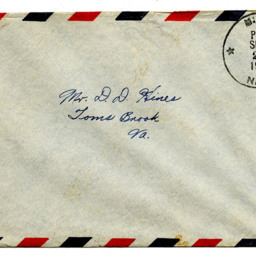 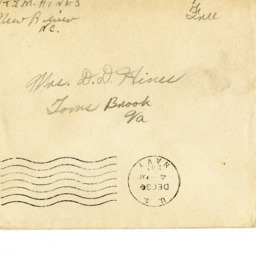 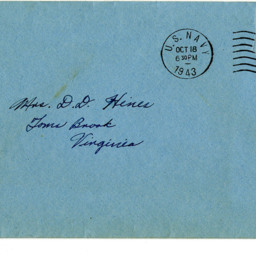 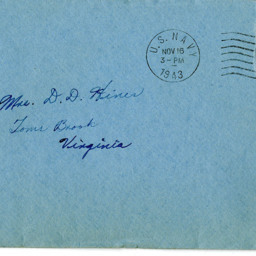 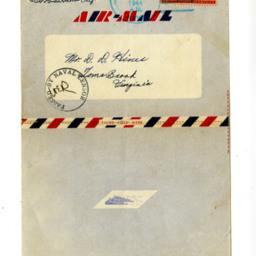 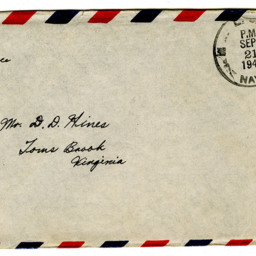 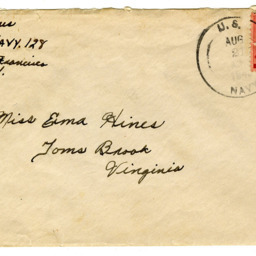 Letter sent from Joseph M. Hines, USMC, to his family in Toms Brook Virginia. 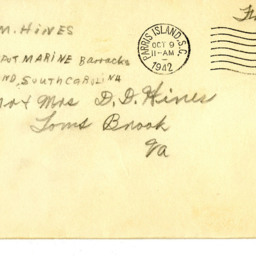 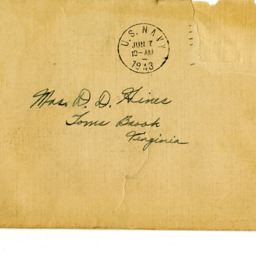 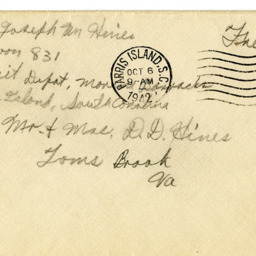 Letter from Joseph M. Hines, USMC, to his family in Toms Brook Virginia. 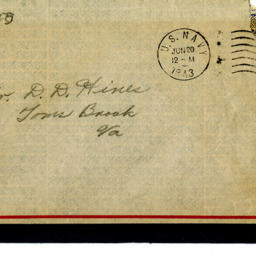 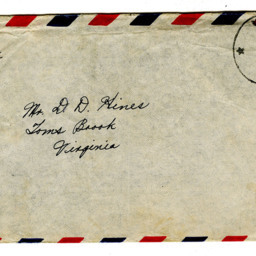 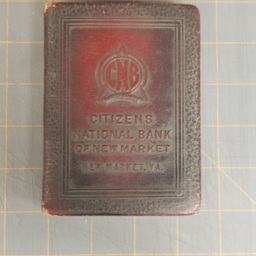 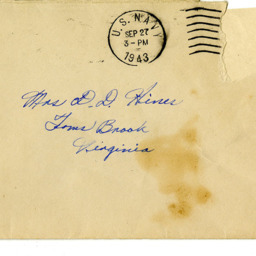 Letter sent from Joseph M. Hines to his family in Toms Brook Virginia. 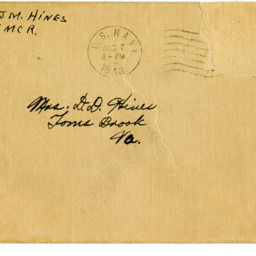 Letter sent by Joseph M. Hines, USMC, to his family in Toms Brook Virginia. 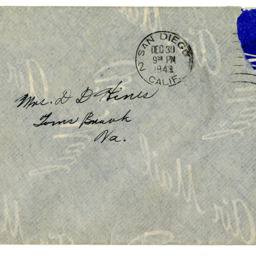 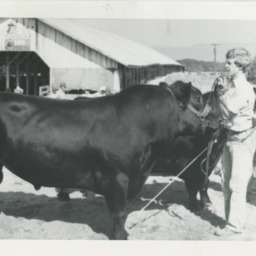 The letter was mailed from San Diego California.